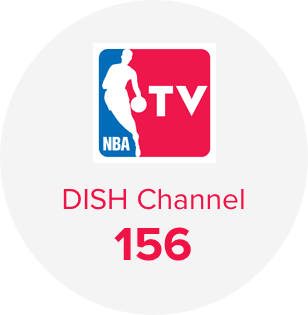 Catch the NBA game tonight on DISH TV or tune in for highlights. NBA TV on channel 156 brings you live games in HD from all 30 teams in the league—plus behind-the-scenes footage, opinion segments, interviews, and other news coverage all season long. To watch the NBA channel on DISH Network, choose America’s Top 200 or Top 250 or consider adding the Multi-Sport Pack. No matter how you prefer to catch up on NBA games, the Hopper 3 makes it easier. For just $5/mo more, the Hopper 3 can record games on up to 16 channels at once and save them all with plenty of room for your favorite primetime dramas, too. Or if you’d rather catch multiple games live, you can—just activate Multi-View mode to watch four channels on the same screen. The cornerstone of NBA TV, this program is the home of live games and their accompanying commentary, interviews, and news coverage. This pregame show airs for 30 minutes before each tipoff and features forecasting and commentary. 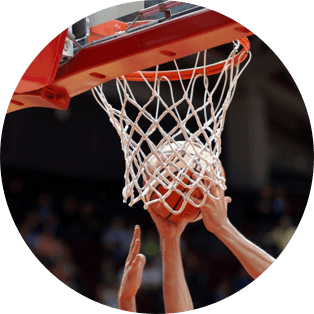 This Emmy Award–winning program airs rebroadcasts of NBA games with expert analysis within 12 hours after gametime. 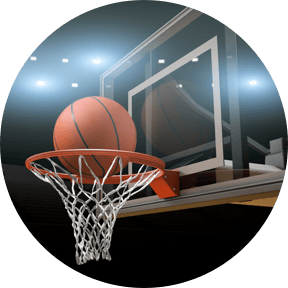 NBA airs 1–2 daily games from up to 40 regions worldwide including Latin America, East Asia, and Sub-Saharan Africa. For more from the NBA, add the premium network NBA League Pass to your DISH package. NBA League Pass airs up to 40 out-of-market games each week so you can catch every team in action during the season. Love another sport just as much? Check out our other sports packs.